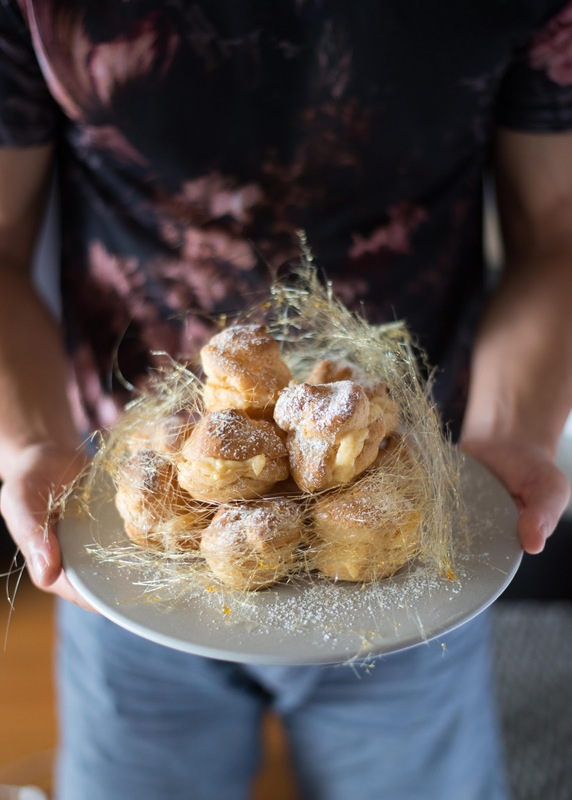 After Jase clocked out of his hand modelling duties, he managed to polish off about five of these Creme Puffs in one hit! 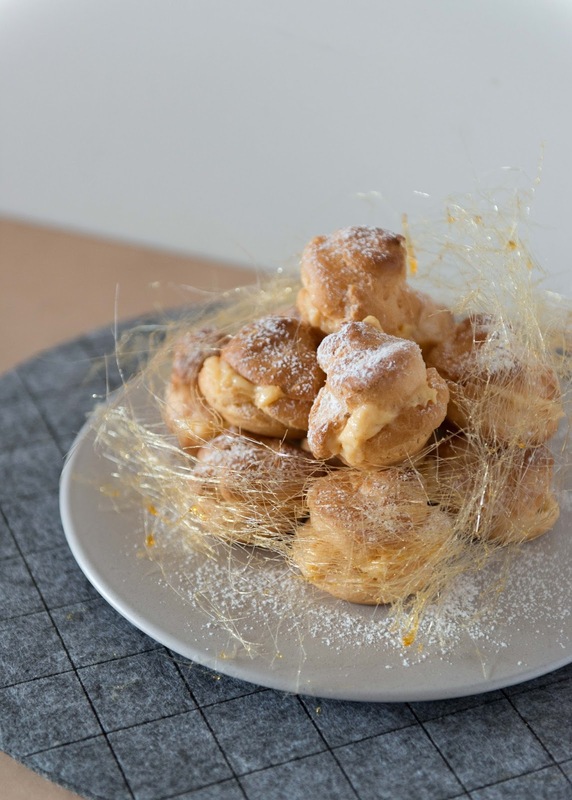 While the last food post was about a mess, calling this one a Creme Puff Nest takes the pressure off the fact that this is a rather lazy Croquembouche. I didn't even pipe the Creme Pat into the Choux Pastry shell, that's how lazy I was. 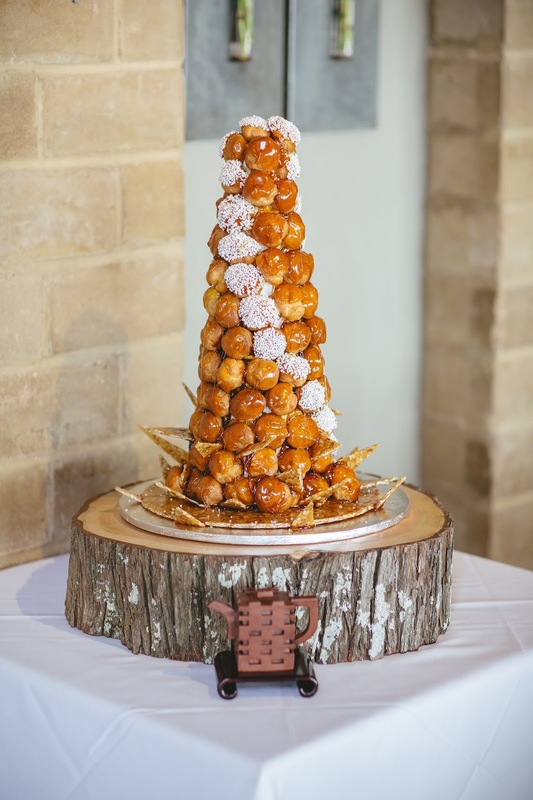 Fun Fact: Croquembouche (a traditional French wedding cake) was the only type of wedding cake I would consider having at our wedding. I wanted something different, something with flair and more importantly something DELICIOUS. 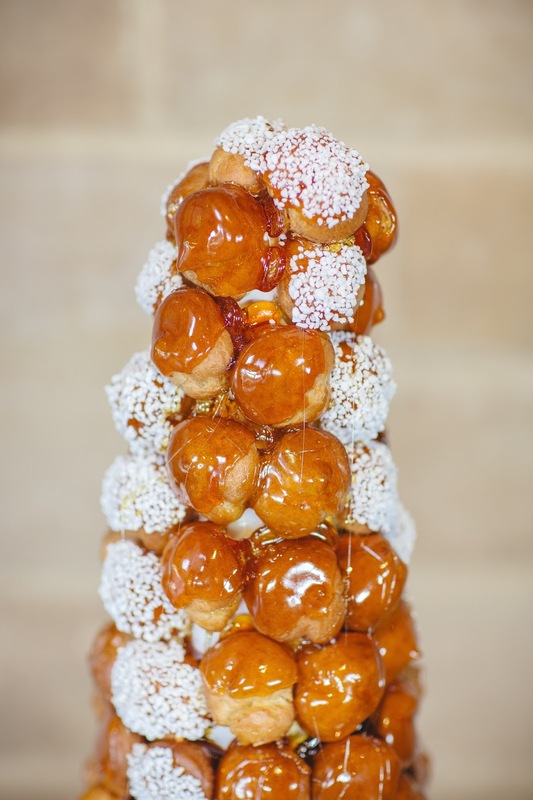 Here are a couple of pics of our wedding cake in all its shining glory, right before she was dressed up with Peonies (Croquembouche made by Guillaume of Ma Cherie | Photos by Coralee Stone). 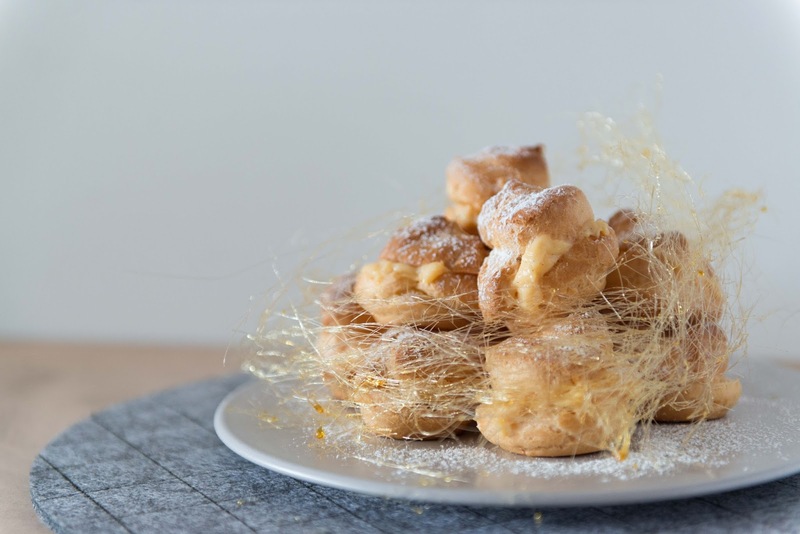 This Creme Puff Nest is certainly nowhere as fancy as our wedding cake, but it is almost as impressive and YUM (if I do say so myself). 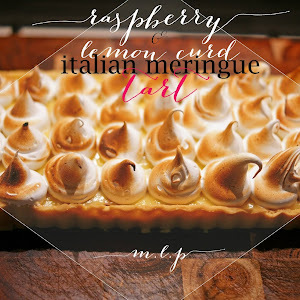 Now to make this, I'm posting down the ingredients and a recipe guide because guys, apart from the Creme Patissiere recipe, nest assembly and shooting, the credits for the recipe and instructions goes to two other special folk. 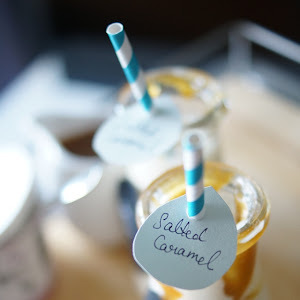 Go and try make this! It's not too demanding of your time! 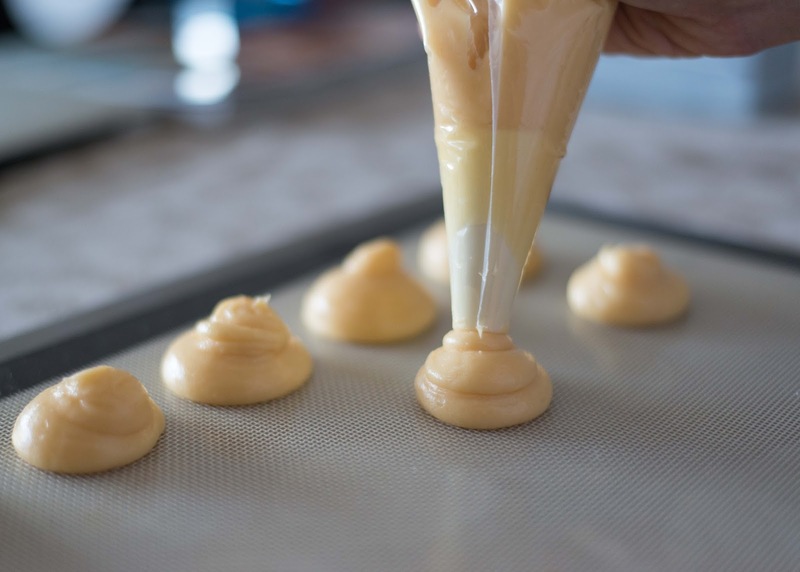 Two of the three components can be made ahead of time (The Creme Pat and the Choux), with the assembly and last flourish of sugar nest being the last few steps. 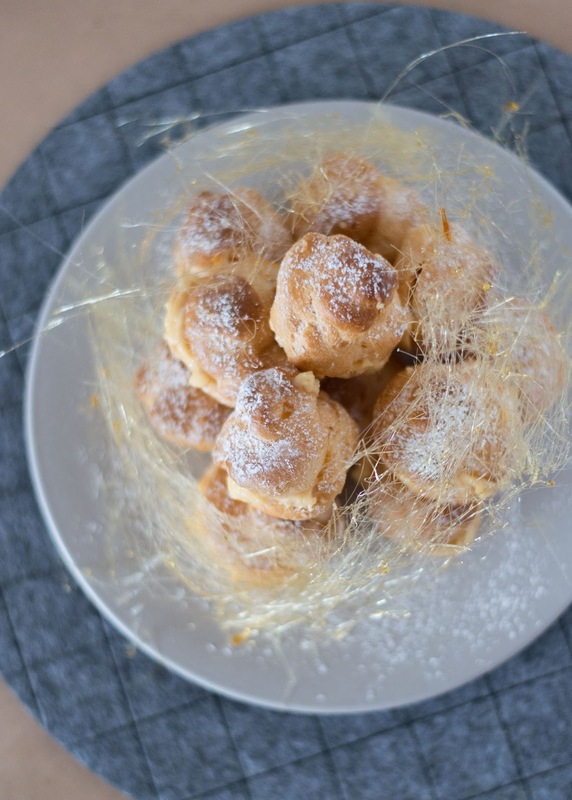 I have made this recipe from Alison Gofton (one of NZ's baking darlings) for YEARS and have never strayed to try any other basic choux pastry recipe. And there's never been any need to adapt it either, it's a simple 4 ingredient mixture of water, butter, flour and eggs. 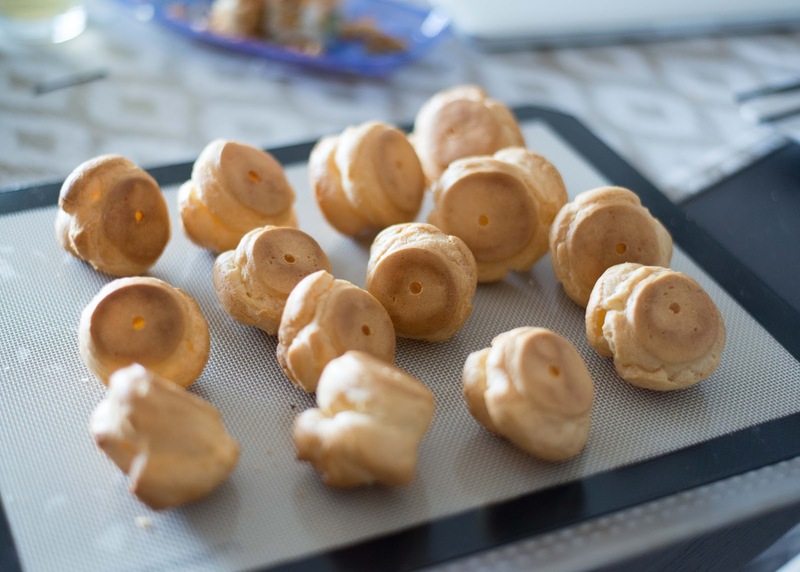 With Alison's basic recipe, I was able to pipe out 14 choux pastries, but some of them ballooned to be rather big. 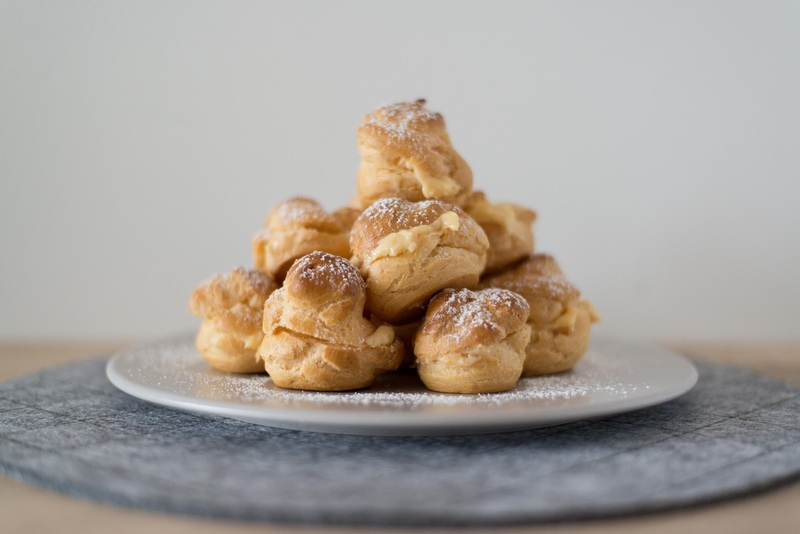 If you piped/spooned them smaller, you could probably make about 28-30 mini bite sized choux, and piling them up into a mountain would be pretty fun (just make sure you use some toffee to stick them altogether). 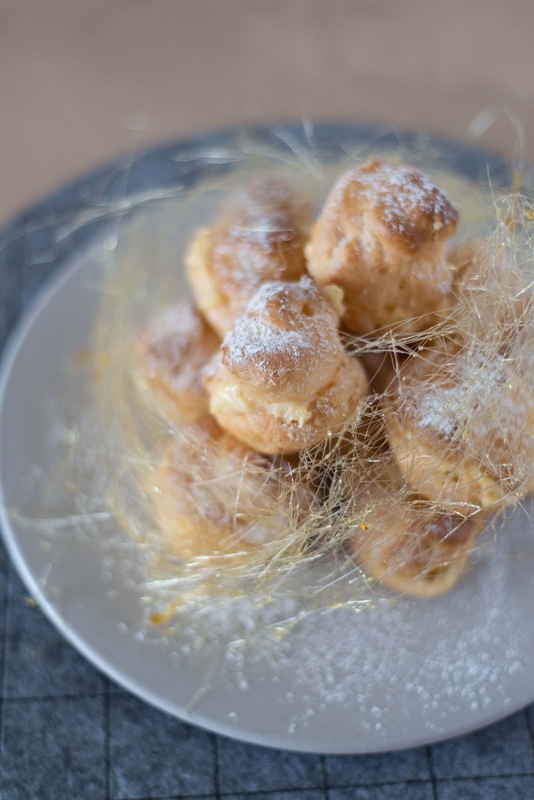 Double the recipe to make more or attempt a croquembouche if you like. But if you do, I hope you have strong arms or a strong friend to help beat the mixture into a glossy batter. Otherwise, if you're not up for a workout, using a standing mixer to do all the work is your best bet. 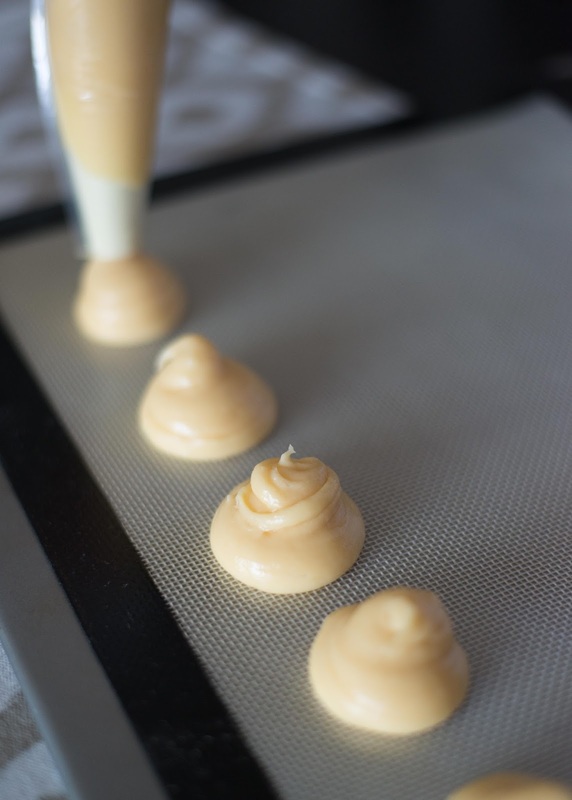 Now I won't attempt to post a step-by-step how to on how I made the spun sugar nest around the creme puff mound. The visions of sticky camera buttons and burnt fingers was a nightmare in itself! VahChef instructed it in the best, friendly way. 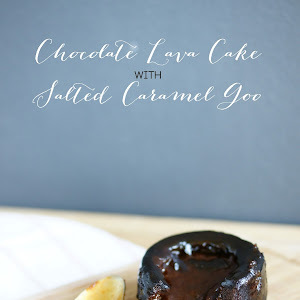 I followed the same technique, and drizzled and flicked the molten caramel back and forth over a large glass bowl until I had the right amount of strands I wanted to wrap around the Creme Puffs like a glorious halo. You can always drizzle the strands over two elevated parallel rods so its easier to pick up. If you celebrate Easter, I hope you all have a wonderful time. If you don't, then I hope you enjoy the break! We have some good friends of ours visiting us from NZ with their cutie pie 2 year old, and will be filling up the weekend with plenty of play time between bub and Bailey Buster lee, hopefully a Sydney Aquarium visit, fingers crossed the rain stays away for a beach visit, perhaps even a trip to the Easter Show (I have never been to one!) and of course, plenty of eating and catching up with friends. Oh dear! That sugar nest is very pretty. 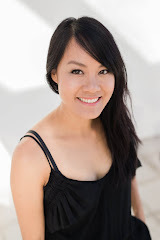 This is so awesome and will totally be the wow factor in a party! Gotta learn this for sure!